Globalization has provided benefits to under-served populations around the world by opening up markets and increasing access and opportunity to those at the bottom of the pyramid. But that's not the whole picture. What happens in countries where rampant corruption, poverty and weak rule of law are the norm? Or where there is a general lack of government capacity and ability to enforce human rights, including labor rights, protections? The recent and devastating disasters in the Bangladeshi garment sector provide a context for this discussion. To be clear, the Rana Plaza garment factory collapse in Dhaka, Bangladesh was just one of a string of preventable harms. Just six months before Rana Plaza, the Tazreen garment factory fire killed 117 people. In Pakistan, two factory fires in September killed 315 people, and more recently, another factory collapse in Cambodia killed 2, and injured many more. It is well understood that governments have a duty to protect human rights and the government of Bangladesh, just like any other government around the world, needs to enforce laws that would ensure human rights, including labor rights, are protected. Unfortunately, practice suggests otherwise: the country's 2008 building law required any new structure to be certified before occupancy. Though there are estimated to be 4000-5000 new structures erected every year, only six were certified prior to the Rana Plaza collapse. Where the government is failing to provide for the safety and security of its own people, what other stakeholders can leverage human rights protections? In Bangladesh, corporate input on safety and auditing processes (given the fact that garment exports make up about 13% of GDP) can have a big impact on government reforms in this sector. Furthermore, many government officials are themselves owners or investors in factories. Companies can therefore exert leverage on the government to make certain that, as a condition for investment, safety standards and protection are afforded to workers. Another way that such leverage can be exerted is to support a new accord to raise fire and safety standards which provides another opportunity for companies to engage proactively in driving up human rights protections. Many European companies have signed on already, but unfortunately American companies are still hemming and hawing, with the vast majority of U.S. retailers not signed on. But companies need to do more than rubber stamp their projects and operations in countries like Bangladesh. The problems with social auditing firms and their certifications are well documented in a recent report by AFL-CIO. These issues included certification processes being outsourced to third party firms, failure to coordinate with unions, factory owners coaching workers or changing appearance before visits, and more. What's clear is that to learn the most about the impacts of their operations, companies need to listen to those who are directly affected -- including their own workers. Unions have a vital role to play in ensuring this happens. A report by the Trade Union Confederation, "the Union Effect", demonstrates that in a majority of cases, unions improve conditions for workers. As Stirling Smith at the Ethical Trading Initiative puts it, the "right, to withdraw from dangerous work, can only be seriously exercised where workers have the confidence to do so. That normally means having a trade union." Could the workers at Tazreen, who heard fire alarms, have banded together to share their concerns with supervisors? Could the workers at Rana Plaza, after having detected cracks in the building, have organized against their managers for improved conditions? These were clearly preventable tragedies had workers been empowered. One of the foundational principles of the UN's Guiding Principles on Business and Human Rights is the corporate responsibility to respect human rights, including those rights described in the International Bill of Human Rights and the International Labor Organization's Declaration on Fundamental Principles and Rights at Work. The ILO Declaration explicitly includes the Right to Organize. If corporations are serious about improving safety standards, they must exert leverage on governments to improve standards for the protection of human rights, but they must also bring workers and unions to the table. 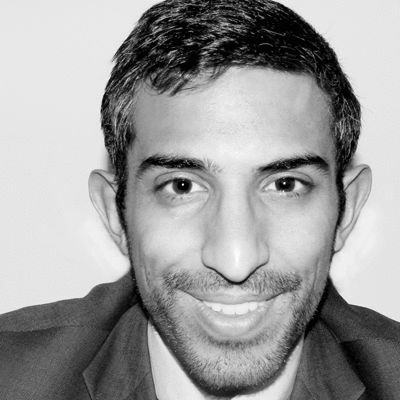 Amol Mehra is the Director of the International Corporate Accountability Roundtable (ICAR), a coalition of leading human rights, development, environmental and labor organizations working to ensure that businesses are held accountable for human rights violations wherever they operate. Mike Lally is a Progam Assistant at the ICAR. For more information, please visit www.accountabilityroundtable.org.